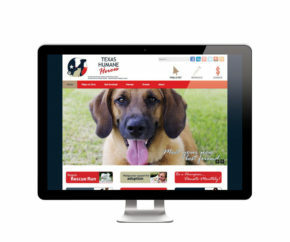 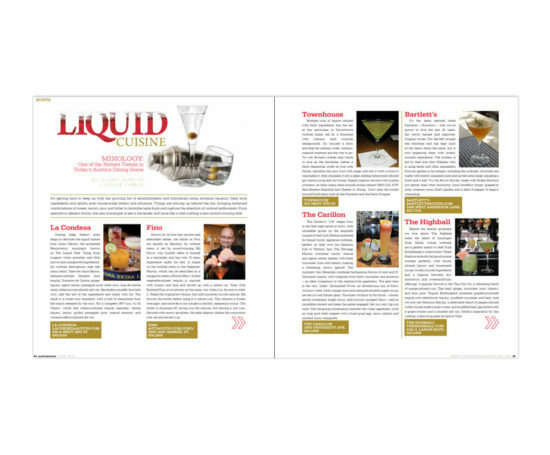 Austin Woman Magazine is published monthly by AW Media in Austin, Texas. 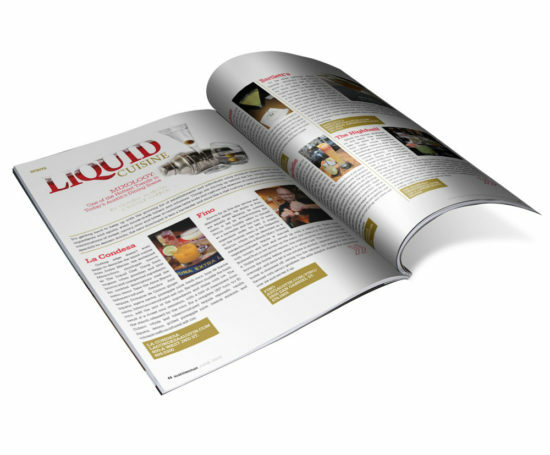 I designed this layout for the Liquid Cuisine article using Photoshop and InDesign. It appeared in the June 2010 issue.